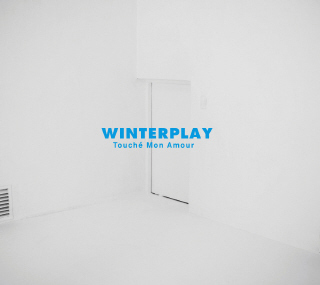 Winterplay bring all the snazzy jazz from Hot Summerplay to Touche Mon Amour, their second studio album, released September 14,2010. So take the synth, and cutesy dancing away and relax to some Winterplay. Winterplay make jazz mainstream, in a place where the only music that’s well known is synth filled bubblegum pop. With their covers of artist like Norah Jones and Sting, the group take classics and make them their own. The album starts off with their first single and all English song,Songs of Colored Love. The song is very chill with a cha-cha sound I think with morocco’s. Moon Hye Won’s deep voice sounds so relaxing. Your Eyes still stays in that cha-cha feel with a soft drum beat and guitar. Touché mon Amour (투셰모나모) is a funny song actually. It has a light jazz-y salsa feel. The lyrics are about a girl who wants to get out of a relationship and forget all about the person she was with. Moon Over Bourbon Street is another cover, by Sting. I absolutely love the trumpet, it really shines in this song. Hey Bob (Rejazzed) sounds like something that you would hear at a cafe or coffee shop. The lyrics are straight forward: Hey Bob, Think I’ll have to dump ‘ya. The bass really sets the mood of the song. June Ballad is more melancholy and toned down. I like how they layered Hye Won’s voice. Those Darn Feelings is kind of happy which has to do with the guitar and the hopeful tone Hye Won sings in. I need to Be in Love is a wonderful rendition of Karen Carpenter’s song. It’s gorgeous. 눈 내리던 어느 날 continues in this sort of sad feel. The beginning has this acapella sound and then the guitar comes in and it’s so beautiful. Don’t Know Why is a nice rendition of Norah Jones . It’s not one of those covers where she’s trying to sound like Norah Jones, they took the song and made it their own. 세월이 가면 shows off Hye Won’s deep vocals with a ukulele , I think. It makes the tone light, but still has this sad feel. Shout sounds a bit like Hey Bob, with the heavy bass sound. This song is probably a cover, but the song is boring. Blue Without You features a male singer, but I have no idea who it is. This a nice duet, their voices sound so good together. I meant to review this the day it came out, but as most of you know, I love to procrastinate. I love Winterplay and this album is so great to listen to after a long day at school. I rate this 5/5. They are super amazing and relaxing to listen to. Thanks for commenting!